Your rendering is really awesome! Only thing that comes in my mind is giving the lights more variation in temperature and intensity. 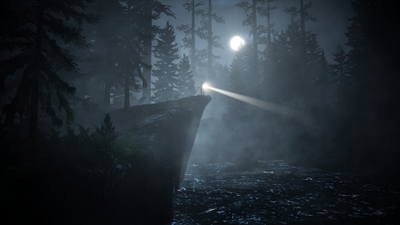 Would love to see some breakdown details - lights, volumetric fog approach, renderer, etc. Looking great!! Looking forward for the final output. Once I will final this I will upload detailed break down with camera pan. pamulighter - Your work is my favorite so far! If talking about ways to improve atmosphere even more I suggest to make fog density unevenly distributed. And if you already made some variation in street lights it is not obvious. IMHO you can make everything a lot more vibrant in post. Another big issue is lost focus in composition. Street lights and moon fighting for attention which is not great. I’ll make some street light brighter and dim all others. There is my WIP.Criticism are highly welcome. Curious about the awnings, they seem to have a “glow” to them … was that an artistic choice? I get the impression that the sun is somewhere behind the water tower on the right; however, the angle of shadows seem to imply that the sun is located behind the first building on the right. Fanx hgagne ! Glowing awnings is a bug ) As well as impression about sun location - to much glow. Can’t get it. Please explain a little bit more. Also try to paint what I want to achieve with lighting only. Thanx for response guys! Now I have couple things to try! This challenge is really cool, I love this environment and I’d like to enjoy it. I saw pamulighter’s post critiquing my last version of the Pipers Alley and got to work straight away making changes. Fixed the Lights by lighting the bulb not the glass which looks much better. Added atmosphere which made the biggest change to the final render but i really like it. Lastly played with the Depth of field may have overdone it but not sure. Anymore critquing is more than welcome. I have something to add and I hope it will push your output to higher level. try this… 1. there is fire hydrant left corner near to the camera make it like metallic and just add rim from the right side and other side ( back) will be much dark. Wide angles lenses have a wide apparent depth of field, allowing them to capture both foreground and background subjects in focus… you cannot isolate your subject by using depth of field to blur the background. Instead, you need to pay more attention when you frame your shot, choosing a composition with an uncluttered background.